The rising population & increasing urbanization of cities has increased the need for waste clearance London. This has been putting pressure on landfills and polluting the environment as a whole. 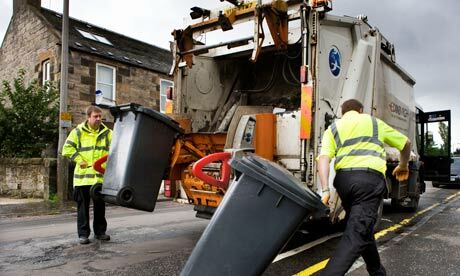 In London, efficient waste clearance ensures that waste is not allowed to pile up and pollute the environment. We clear all kinds of waste which have been generated through domestic and commercial activities. We also arrange same day clearance and ensure proper disposal for each type of waste so that the impact on the environment is minimized. Waste clearance is the first step in the long chain leading to proper utilization of waste. Proper waste clearance plays the most significant role in minimizing the impact of garbage on the environment. It can be classified into various categories such as biodegradable, non-biodegradable, hazardous, toxic, recyclable etc.By reducing the impact on the environment, this will necessitate less raw material and energy and therefore reduce greenhouse gas emission to some extent. There are a number of waste clearance companies operating throughout London. However, you should select only those who are licensed by the civic authorities. We are a licensed waste clearance company offering same day service and engaged in clearing various kinds of rubbish throughout London. Among the variety of waste generated from household activities, garden waste is one of the most recyclable ones. Most of the waste generated from garden clearance such as plant trimmings and twigs, dead plants, leaves and flowers, pruned branches etc can be formed into compost and used in the garden itself. Therefore, if you are thinking about hiring an agency for garden waste clearance in London you should hire one who is engaged in composting and recycling of garden junk. This will save you money for waste rubbish clearance as well as fertilizers needed for your garden. Clear it waste is experienced in garden waste clearance in London. We recycle all the plant material and form compost out of them. We take away all the plastic and other non-biodegradable garden waste to recycling centers for proper disposal of garden waste. Workplaces are one of the most prolific generators of waste throughout London. They generate a large chunk of recyclable, non-recyclable and toxic waste throughout the year. This calls for efficient workplace rubbish clearance. We are doing waste clearance in London for many years.Workplace waste usually comprises of a vast amount of waste paper & cardboards. This can also churn out quite a lot of electronic toxic waste, such as defunct computers, monitors, scanners, printers and other electronic waste. Papers and cardboards can be easily recycled to produce paper. However, electronic waste needs to be disposed of according to the norms of Waste Electrical and Electronic Equipment. A unique feature of workplace rubbish clearance is confidential data destruction so that such data does not end up in wrong hands. Clear it Waste specializes in erasing sensitive data from computers permanently.